Spain shares the Iberian Peninsula with Portugal at the western end of the Mediterranean Sea, with the Atlantic Ocean to its north and the Pyrenees mountains and border with France in the east and northeast. It has the second-largest number of UNESCO World Heritage Sites, after Italy, and [the largest number of World Heritage Cities]. It is also known for its diverse cuisine, vibrant nightlife, music and festivals, and other features, making it one of the world’s most popular travel destinations. Iberian cultures came under Roman rule around 200 BCE, after which the region was named Hispania. In the Middle Ages, the area was conquered by Germanic tribes and later by the Moors. Spain emerged as a unified country in the 15th century, after which it became one of history’s first global colonial empires. While its beaches are the single biggest draw for holiday tourists, travelers interested in roaming Spain’s vast and diverse interior will find both cultural and natural attractions that range from alpine mountains to marsh and desert areas, many of them interspersed with charming towns and historic landmarks. The Alhambra is a palace, citadel, fortress, and former home of the Nasrid sultans, located in the mid-sized city of Granada in southern Spain with splendid ornamental architecture, lush gardens, and breathtaking views of the city. It is a UNESCO World Heritage Site. 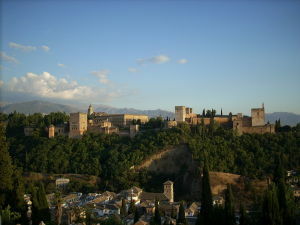 Granada itself is rich in history and culture, in a scenic part of the country, making it one of the top travel destinations in the country. 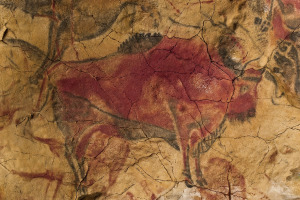 The Cave of Altamira is a cave in Spain famous for its Upper Paleolithic cave paintings featuring drawings and polychrome rock paintings of wild mammals and human hands. The cave with its paintings has been declared a UNESCO World Heritage Site. Ávila is a town located in west-central Spain. The town is a UNESCO World Heritage Site known for prominent and well-preserved medieval town walls and many churches. Avila’s most famous building is a majestic cathedral that is built into those walls. The city is built on the flat summit of a rocky outcrop, standing high above the surrounding landscape. Barcelona, located on the northeast coast of Spain on the Mediterranean, is Spain's second largest city. It is known for its many cultural features, including outdoor markets, museums and galleries, and many old buildings from its long history, including various works by Antoni Gaudí that are a UNESCO World Heritage Site. 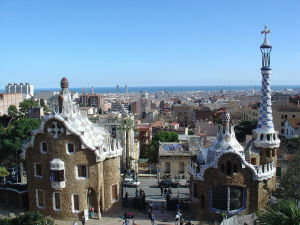 Barcelona is also known for extensive nightlife, events, beaches, mountains, and other features. 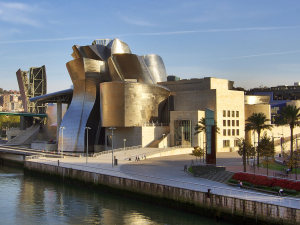 Bilbao, located on the northeastern coast of Spain, has become best known in recent years for architect Frank Gehry's spectacular twisting titanium-clad modern art museum. The city is also filled with historical landmarks, including churches, parks, and many museums. Nearby Vizcaya Bridge, a UNESCO World Heritage Site, is regarded as one of the outstanding architectural iron constructions of the Industrial Revolution. Cáceres is a mid-sized city located in west-central Spain. It is a UNESCO World Heritage Site as a result of the city's intact ancient city walls, as well as its blend of Roman, Moorish, Northern Gothic and Italian Renaissance architecture. The surrounding area offers nature reserves and rural tourism, including Monfragüe National Park and Los Barruecos Natural Monument. 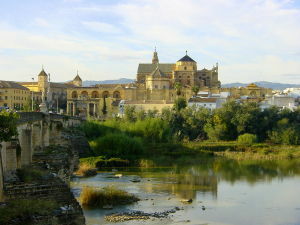 Cordoba is a mid-sized city located in the center of Andalucia, in southwestern Spain. Its historic center is a UNESCO World Heritage Site, known for the mixture of the diverse cultures that have settled. The historic quarter of Cordoba is a beautiful network of small streets, alleys, squares and whitewashed courtyards arranged around the Mezquita. The city is also known for a dynamic cultural scene. 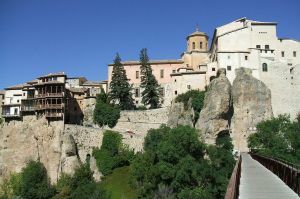 Cuenca is a town located in east-central Spain, southeast of Madrid. It is an unusually well-preserved medieval fortified city originally built by the Moors. Conquered by the Castilians in the 12th century, it became a royal town and bishopric. Today it is a UNESCO World Heritage Site, known for the casas colgadas (hanging houses) that suspended from sheer cliffs overlooking the Huécar river. Ibiza is one of the Balearic Islands, located off the eastern coast of Spain in the Mediterranean Sea. 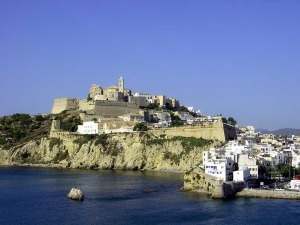 It is the home of Ibiza Town, a popular port stop for many travelers. The entire island is a UNESCO World Heritage Site, recognized for its extraordinary biodiversity and historic legacies (including its fortified Upper Town and archeological sites. Summertime attracts a large and lively club scene. Madrid, located in the center of the country is the capital and largest city of Spain, and its economic and cultural capital. The city’s important historic legacy is reflected in its Royal Palace, beautiful cathedrals, and extensive medieval architecture, and includes two UNESCO World Heritage Sites. Madrid has become a global city in the past several decades known for extensive nightlife, music, and performance arts. Monte Perdido / Mont Perdu is a mountain and UNESCO World Heritage Site located in the Pyrenees that straddles the border between Spain and France The site includes two bordering national parks, as well some of Europe's largest and deepest canyons. The summit (11,007 ft or 3355 m) is located in Spain, and access to the mountain is easier from the Spanish side. The Picos de Europa is a range of mountains a located near the northern-central coast of Spain. It consists of several massifs, with a large gorge in the middle, by the village of Caín. Picos de Europa is popular with both hikers and climbers, and there is a well-established network of mountain refuges. There is also an aerial tramway at Fuente Dé. Rioja is a region located in located in northeastern Spain best known for its vineyards and red wines. There are many wine-producing villages in the region, one of the most important of which is Haro -- a hill town that is home to a number of world famous bodegas. The region is also home to two monasteries that together form a UNESCO World Heritage Site: San Millán Yuso and Suso Monasteries. Salamanca is a historic mid-sized town located in west-central Spain. The city's historic center is a UNESCO World Heritage Site known for its Romanesque, Gothic, Moorish, Renaissance and Baroque monuments. The Plaza Mayor, with its galleries and arcades, is particularly impressive. 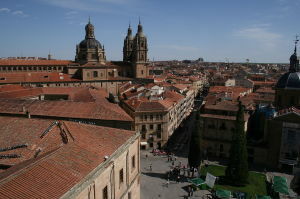 Salamanca’s university, founded in 1218, is one of the oldest in the world. San Sebastián is a city located in the Basque Country of northern Spain, near the French border on the Atlantic Ocean. The city is the center of Spanish Basque culture, and combines an historic old town filled with beautiful buildings and churches with one of the best in-city beaches in Europe. 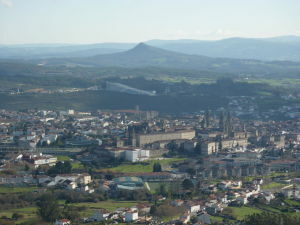 Santiago de Compostela is a mid-sized city located in northwestern Spain. It best known for its historic city center, a UNESCO World Heritage Site, well as the magnificent cathedral that dominates it. 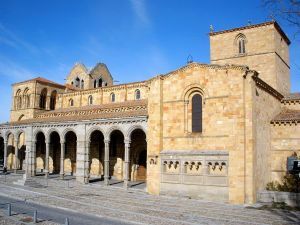 The surrounding area is known for its Camino de Santiago – an historic pilgrimage to the city that is its own UNESCO World Heritage Site listing. 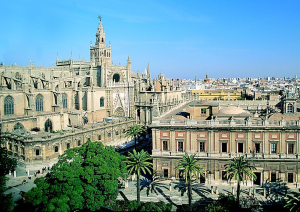 Seville is Spain’s fourth-largest city and the cultural and financial center of southern Spain. It is home to a UNESCO World Heritage Site that covers three landmark buildings from Spain’s Golden Age: the vestiges of Islamic culture, centuries of ecclesiastical power, royal sovereignty and the trading power that Spain acquired through its colonies. 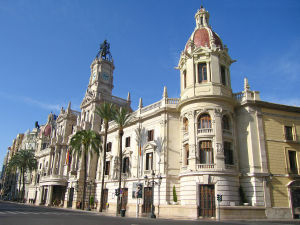 Seville is also known for its diverse festivals and nightlife scene. 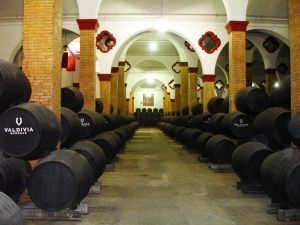 Sherry Country is located in the Andalucia region of southwestern Spain. Its most important city is Jerez de la Frontera, with two smaller towns (San Lucar de Barrameda and El Puerto de Santa Maria) also playing a role. Near Sherry Country is the historic seaside town of Cadiz, which provides access to a protected harbor with good beaches, kayaking, and other outdoor possibilities. Valencia is a large and historic city, located on the Mediterranean coast in eastern Spain. Among its landmarks is a UNESCO World Heritage Site, La Lonja de la Seda de Valencia, a former silk exchange. Valencia is also known for its Fallas Festival in March. The surrounding area has a number of high-quality beaches, some of which are also known for their active nightlife.